Beach beauties are guaranteed to make a stylish splash with this adorable Green Flower Power Skirt Set which gives her UPF 50+ protection. 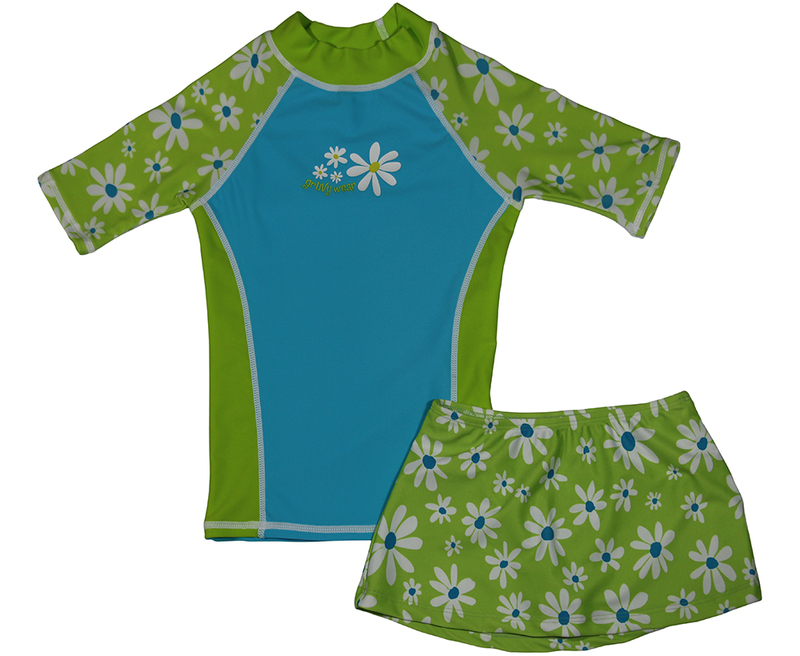 Girls go crazy for our comfortable daisy UV shirt with matching swim skirt with built-in bikini. With a comfortable helenca lining, this adorable matching UV skirt provides maximum sun protection for the beach, pool or just hanging out. Consult our size chart for ordering.